There are still a number of surviving trees along North Walk which were planted in the late 1880s to provide winter interest and shelter. Several types of oak grow here, including the two native species, Sessile Oak whose acorns have no stalks and English Oak. 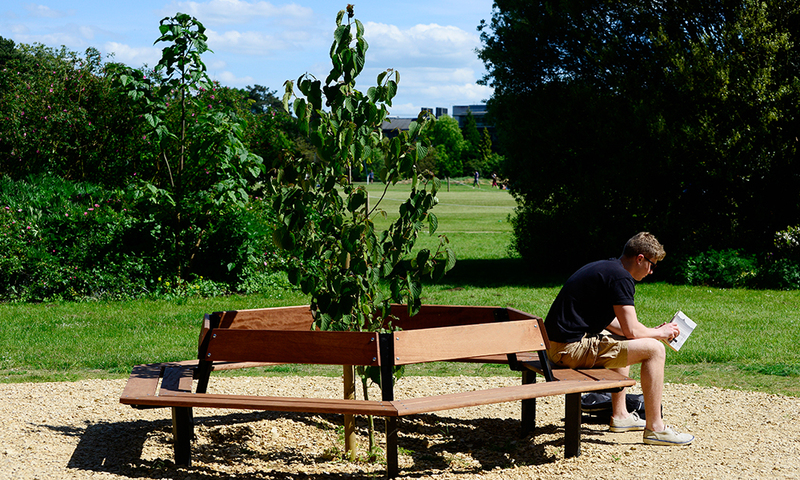 The younger trees planted here were added in the 1950s and from the 1970s up to the present time. The North Walk borders are planted to provide colour, form, and texture throughout the year. They include an interesting range of shrubs, herbaceous, bulbs and ground covering plants which are tolerant of alkaline soils and summer conditions. A Dawn Redwood tree (Metasequoia glyptostroboides) flourishes here. This was once an endangered species which was thought to be long extinct, existing only in fossil records, until one was identified in a Chinese Monastery garden in 1947. Harvard University sent an expedition to collect seeds of this Redwood in 1948 and, shortly after, sent seedling trees to universities and arboreta worldwide for growth trials. 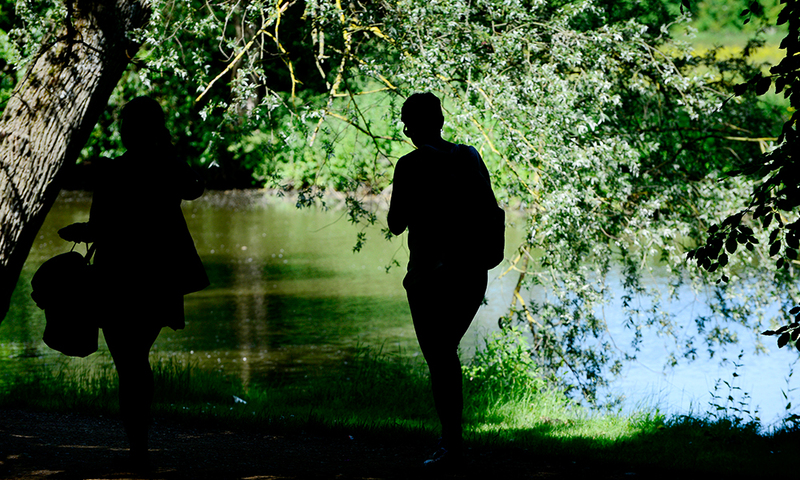 A picturesque walk along the River Cherwell provides a naturalistic park experience including the opportunity to spot some of the wild fowl and other wildlife that inhabit the Parks. 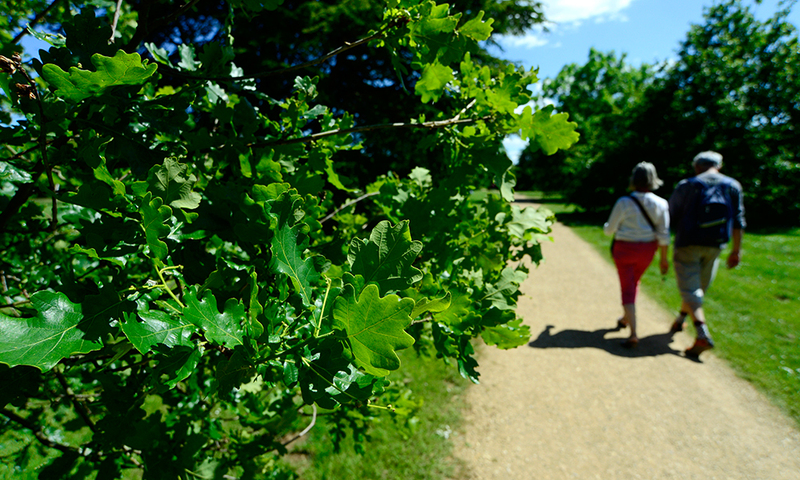 These oaks were planted in the 1980s to replace an avenue of elms lost to Dutch elm disease in the 1970s. During the Second World War the area between Oak Walk and Thorn Walk was ‘Dug for Victory’ for a large number of vegetable allotments. The oaks now flourishing here are inter-planted with crab apples and cherries. A few of the trees showcased in this part of the Parks date from 1889. The majority here were planted in 1928-29 with some newer replacements. 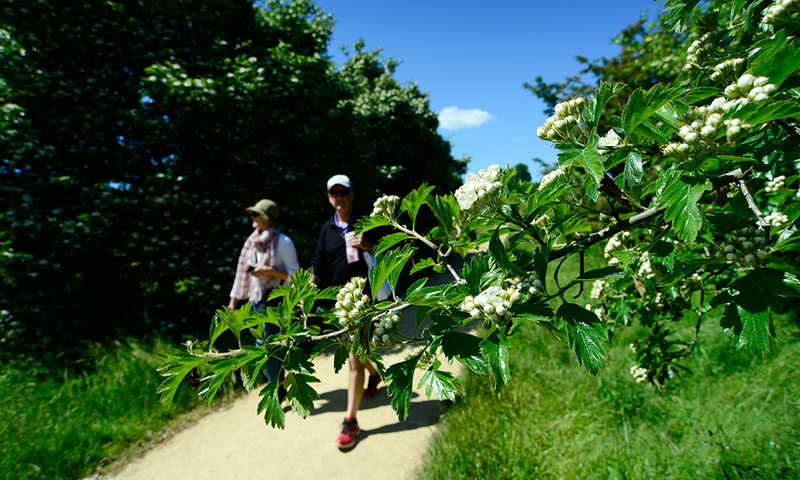 The collection includes over thirty species and varieties of hawthorn (Crataegus). These bring flowers in spring, fruits in the summer and rich autumn tones when the leaves turn. The Park side of West Walk boasts several Ilex sp. (hollies). These include a weeping tree and a variegated specimen whose topmost leaves turn yellow in winter, becoming green again throughout the summer. 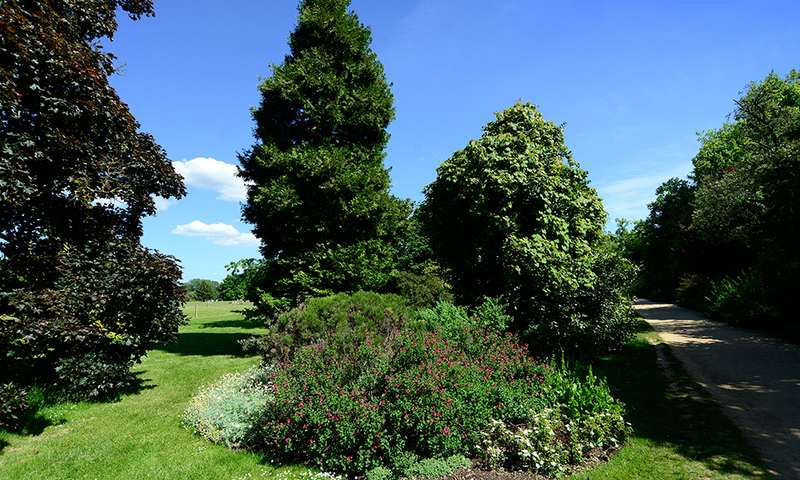 There is a broad range of shrubs and ground covering plants beneath the boundary lime trees. The island beds proved an environment for drought tolerant sun-loving plants to thrive in.